Description: The sixth-form baccalaureate is conferred after six years of primary school. Description: The sixth-form baccalaureate is conferred after six years of primary and six years of secondary education. It gives access to higher education. Holders of the sixth-form baccalaureate in science have access to all universities. Sixth-form arts baccalaureate holders choose from arts degree courses and the top 10% of vocational school graduates enter courses in the subject they studied at school. 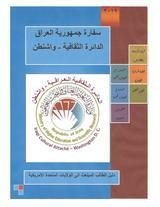 Description: Academic and technical bachelor's degrees are normally conferred after four years' study. In architecture, dentistry and pharmacy studies last five years and in medicine six years. Description: Academic and technical master's degrees are conferred after two years' study beyond the bachelor's degree (one year by tuition, one year by research). Description: The doctorate (PhD) is conferred after a further three years' study beyond the master's degree. It comprises one year of coursework and two years of research. Description: The vocational baccalaureate is conferred in agricultural, industrial, veterinary or commercial secondary studies after three years' study following upon the third form baccalaureate . Description: Primary school teachers are awarded a diploma after five years' study beyond secondary intermediate school by teacher training institutes. Description: The technical diploma (in a specialized field) is awarded by technical institutes after courses lasting two years, with six weeks' practical training each summer. Description: Higher diplomas are mainly conferred in medical fields. Admission is based on the bachelor's degree in the same field. A grade average of at least 65 per cent is required. Some specialized institutes offer two-year postgraduate higher diplomas.